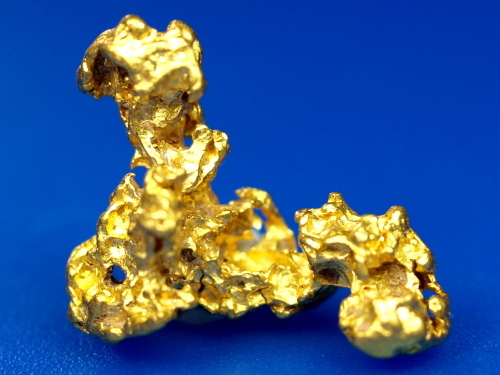 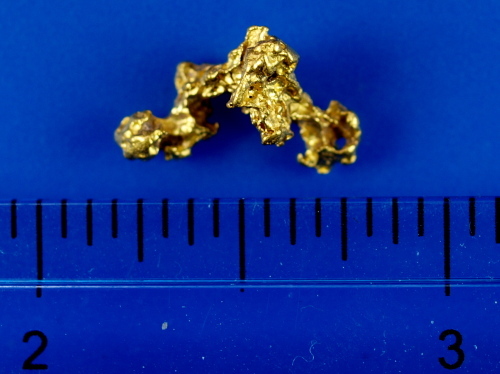 A really amazing gold nugget from Australia. 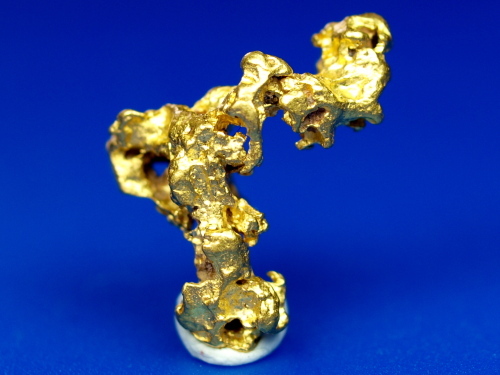 It has an awesome shape, it kind of twists like a strand of DNA. 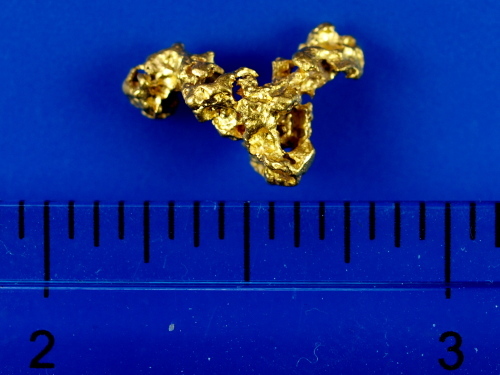 Very bright gold weighing 1.84 grams.